Show your skin some love with this exclusive Lab Series anti-aging solution. Formulated with good quality cream ingredients that fight the telltale signs of aging, it leaves skin looking refreshed and youthful. This nourishing formula helps improve the texture of the skin on the face and make wrinkles less visible by softening and hydrating this common target area. Aging skin can look dry and unappealing thanks to wrinkles, fine lines and dark spots. Fight back by using this targeted product to reduce the damage caused by aging skin. Keep skin looking young and fresh with an anti-aging product that helps smooth out wrinkles and fine lines to give the skin a smoother, more radiant look. The oils in the cream act as a blocking agent to prevent moisture from leaving the skin while attracting water to protect future loss of essential oils. Well-suited to all skin types, this anti-aging product easily fits into any skin care routine without the risk damage to sensitive skin. 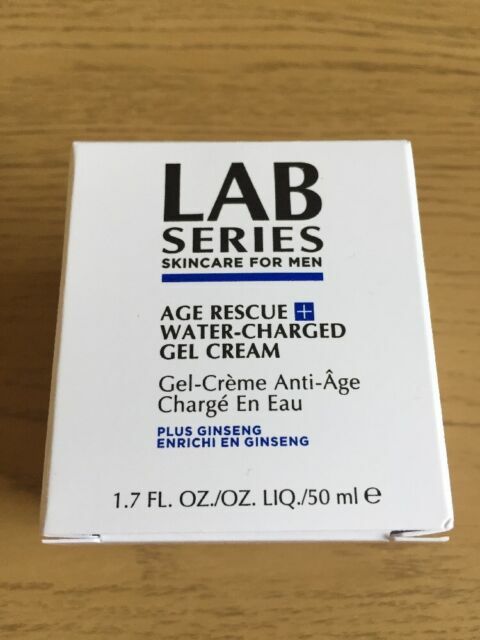 Tried-and-tested to combat the harsh conditions of everyday life, Lab Series products are refreshing and tough enough to keep men's' skin looking great in any environment. Excellent item and at a very reasonable price, soothes post shave and hydrates my skin all day. This is by far the best moisturizer for dry skin.